I don’t know about where you live, but here in the midwest, the fall weather can be really unpredictable. Maybe 80 degrees one day but then the next day it’s in the 40’s. Come to think of it, it’s like that all year round! Ha! 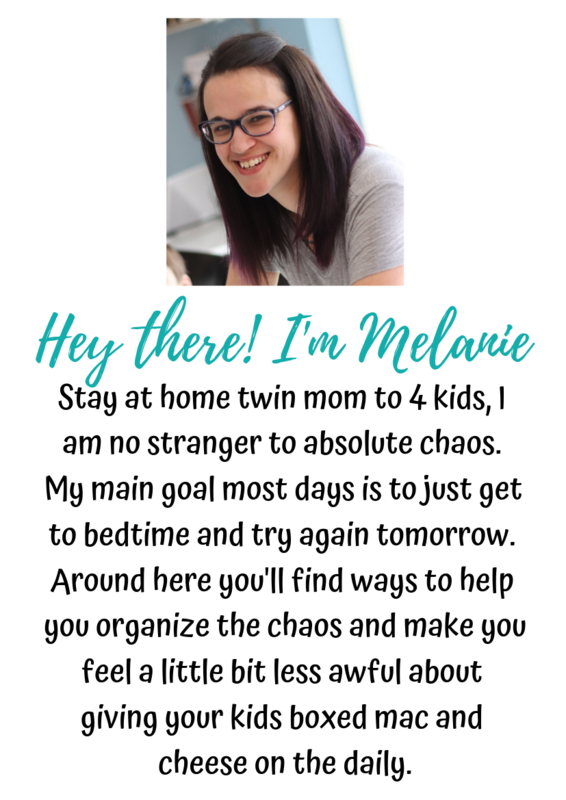 I like to have activities for my kids ready to go on those off days where we are stuck in the house. I also really like to give them stuff to do that related to the current season or holiday. 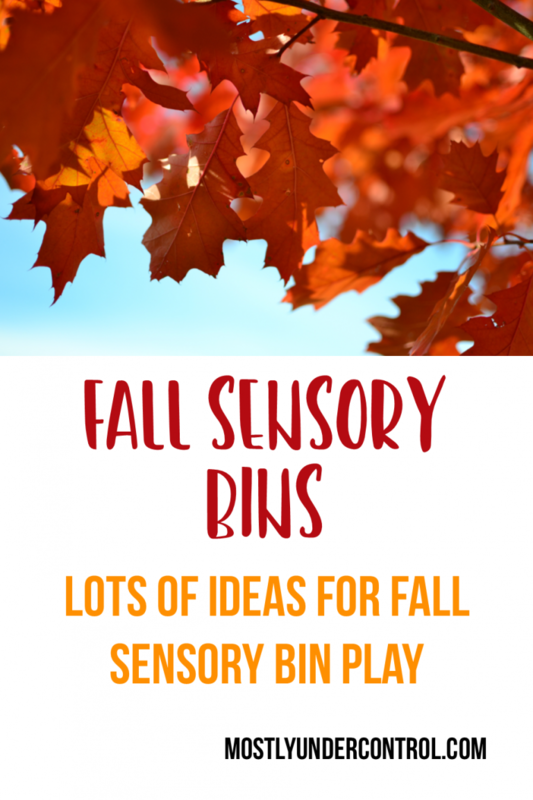 Enter my fall sensory bins. Leaves: You could use fake leaves, real leaves, foam cut outs of leaves, etc. If you use real leaves, make sure you have shooed off all of the bugs of course. Corn kernels: Obviously make sure not to give these to the super littles that may or may not put them in their nose, ear, mouth, etc. The weight of these is great for kiddos who need the pressure and digging into a sensory bin. Dry black beans: It can represent the dark sky, rocks, dirt, etc. You could also add in candy corn and candy corn pumpkins to this. Dry oatmeal, cinnamon sticks and fake apples: This is a great combo and the smell will remind you of fall! You could also add some apple pie spice mix to the oatmeal. Gourds, pumpkins, etc. : Again, these could be fake ones from the craft store or real ones you’ve picked up at the grocery store or pumpkin patch. Acorns/pinecones: Grab these from outside! They are great tools to explore different textures. Bird seed: Very fall! The Dollar store carries this in bags also. Pumpkin scented dough: Play doh or moon sand. Just add pumpkin spice to the dry ingredients while mixing it together. Is there anything I missed that you can think of? Drop it in the comments below! Also if you do these activities at home, tag me on Instagram (@mostlyundercontrol) so I can see them! Next > What is a sensory bin?